This sunny south-facing apartment has a wonderful enclosed terrace, with private sun loungers and outdoor table and chairs, perfect for al-fresco dining and sunbathing. 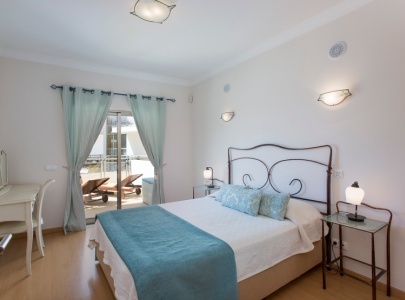 The terrace leads off the bedroom and living room and overlooks the swimming pool, with views towards Albufeira. There are excellent on-site facilities, including a roof-top BBQ and sauna. 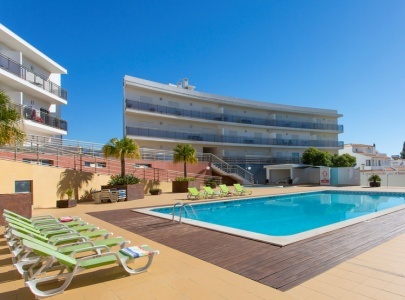 The apartment is in a prime location, near the centre of Albufeira. Dedicated UK TV & Wi-Fi access. It is fully air conditioned and heated for year-round holiday rentals. Thank you for a great holiday. 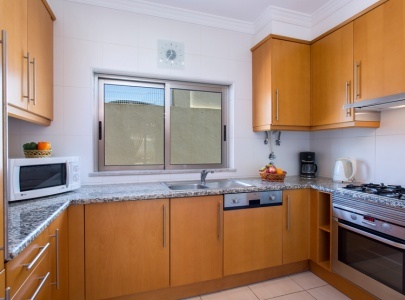 The apartment is lovely and the team at Algarve Getaways are helpful and very friendly. We are already looking forward to our next visit. Once again we had a lovely stay within the complex. We would like to thank Daniel and LaToya for always helping us. Lovely apartment, very clean and well maintained. He have had bad experiences on several occasions renting vacation apartments online. Many times the photos did not correspond to reality. This time around it has been different. The apartment was just like the photos I had seen on the website. BEAUTIFUL! It exceeded my expectations. 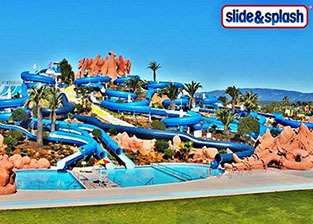 Fully recommended to go with children, as it has direct access to the pool. And the complex very quiet and with an unbeatable location (5 minutes by car from the beach). We will definitely be back. (SP) Habia tenido malas experiencias en varias ocasiones alquilando apartamentos vacacionales por internet. Muchas veces las fotos no se correspondían con la realidad. Esta vez no ha sido así. El apartamento era tal cual las fotos que había visto en la pagina web. PRECIOSO! Superó mis expectativas. Totalmente recomendado para ir con niños, ya que tiene salida directa a la piscina. Y el complejo muy tranquilo y con una ubicación inmejorable ( a 5 min. en coche de la playa). Sin duda volveremos. We were very pleased with the apartment and the complex generally. We had a very enjoyable holiday. A big thank you for everything, from start to finish. The apartment ticked all the boxes and we had a fantastic holiday. 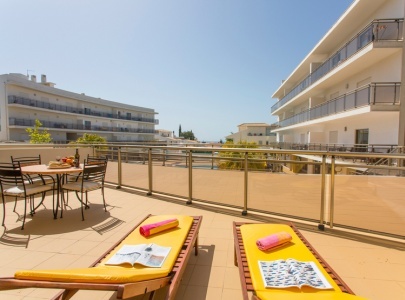 The transfer both ways was spot on, the location of the apartment, your own sunbeds by the pool, sunbeds & table & chairs on the balcony, Nothing was too much trouble for the Getaways team, the apartment had everything you'd ever need, too much to mention. If you want a good quality, peaceful holiday in a brill location, this is it! A BIG thank you to everybody! We had a fab holiday. It’s a lovely little complex and it’s position allowed us to explore more to the Old Town side of Albufeira. Lina, the transfer driver, is a lovely lady, very welcoming and professional. Likewise LaToya, who met us on arrival, she’s a credit to your company, very friendly and outgoing. Thanks for a lovely stay. We hope to book again. The apartment was very well equipped and lived up to expectations. It was also very clean and smelt fresh. The booking experience was excellent from start to finish and the local management service could not have been better. We booked the airport transfers with you and the driver was waiting for us when we arrived and collected us on departure at the right time. It was the best transfer service we have had. We had a great holiday and would recommend this apartment and Algarve Getaways to anyone. Thanks ever so much for a lovely warm welcome and a hassle free holiday. 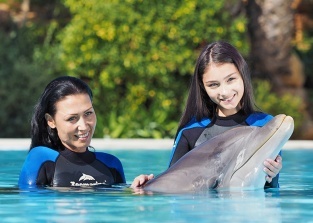 I will recommended to family and friends and will most definitely book again. Excellent apartment, one of the cleanest I have stayed in and exactly as described online. 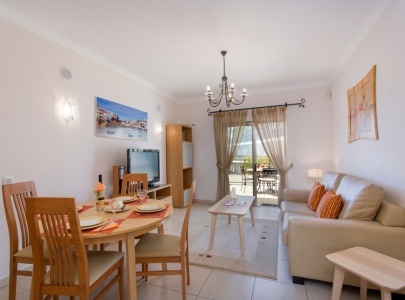 Lovely, secure, quiet and friendly complex - perfect for a restful holiday. The transfers worked perfectly, even though our flight was delayed by 3 hours. Good personal experience, right from the first enquiry we were treated as individuals. The staff were extremely professional and helpful without being intrusive. Thoroughly enjoyed our holiday and would definitely use Algarve Getaways again. We had a fantastic holiday at SOL-I. After a six hour flight delay we were delighted to be met at the airport immediately by our driver (arranged by Algarve Getaways) who brought us straight to our door. The welcome pack was a godsend especially for our tired and hungry six year old. Accommodation was perfect with everything required and being on the ground floor, we had sun for most of the day and easy accessibility, to watch my daughter at the pool and playground, safely. Thanks for a great holiday. Lovely, spacious apartment. It was spotlessly clean, complete with everything you need, including satellite TV, hair dryer, washer and dishwasher, it was home from home. Ideal location, 5 minutes’ walk from the main strip and 15 minutes’ walk from the picturesque Old Town and gorgeous Fisherman’s Beach. Pool area was also spotless. The staff were helpful and informative when we booked and we had a great time and would definitely stay here again. It is a 5-star apartment, truly wonderful. Extra we didn't expect were the inbuilt radio system, the great gate on the terrace, the library of books, all the kitchen extras. The apartment was so clean and well looked after. Not one complaint. Swimming pool, roof terrace, gym and sauna were all great. I used the gym a lot and it was empty and great to relax in. Thank you so much for a great holiday. We have stayed in a few apartments over the years, and I can honestly say that this is one of the best. It is well situated, close to the supermarket and about 15 minutes to the Strip. 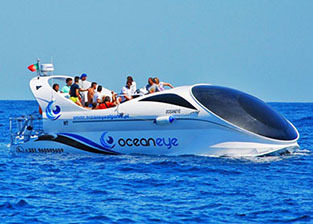 The service we received from the Algarve Getaways team was first class, no hassles whatsoever. This was our first visit to Portugal, and we have been raving about it to our friends ever since we returned home, and we are already making plans to return. The apartment was first class - decorated to a high standard with excellent facilities - not what you normally get from an apartment rental - full kitchen, sky TV but the best for us was the spacious balcony with sun loungers on. Staff at Algarve Getaways were superb from start to finish - excellent transfer service, great welcome pack, and their staff were very caring. Customer Service second to none. The complex was maintained to a very high standard and not far from the main resort but quiet enough for a good night’s sleep. Also very good security shutters, safe and balcony - I cannot praise this enough. Like every year we really just relaxed. We do love it there! The apartment was first class; real home from home, far and above any other self catering experience. Excellent prompt feedback all through the enquiry and booking and I am already looking to book with Algarve Getaways again next year. The apartment was fantastic - a great location, lovely big balcony and easy access to the pool and other facilities. 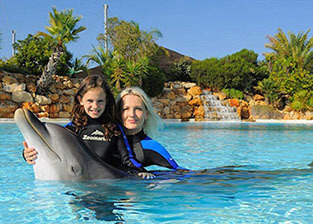 We had a great holiday with Algarve Getaways! We were made to feel very welcome and found that we had everything we needed for a happy week away! 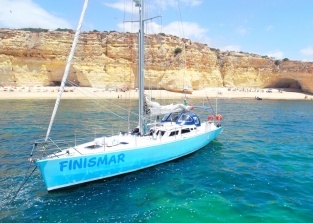 We hope to book with you again soon and will recommend Algarve Getaways to friends and family. Fantastic apartment, very luxurious with everything you need and more. We really liked that we had our own sun loungers and also enjoyed the gym. Complex very central to both the Old Town and The Strip. Thank you again for a first class holiday. First class apartment, first class complex, first class experience. The whole package was faultless. Thank you for all your help and assistance before and during our stay. A truly relaxing, hassle free holiday. The apartment was beautiful and spotless. When we arrived, we were met by your local managers who showed us around, how to use everything and where to find everything in Albufeira. We have booked our own holidays many times and have never experienced this before - thank you. Throughout our stay, they would come over to the terrace and check that everything was ok. Many thanks for a truly relaxing, hassle free holiday. 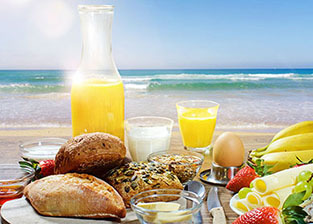 It is the first time we have chosen a self catering holiday and I am pleased we chose to do it through you. The apartment was superb and we felt at home immediately and were impressed with the cleanliness, the design and the furnishings within it. Security was good. The double access to the patio from both lounge and bedroom was superb and aided ventilation and we loved being able to stretch out on the sun loungers and eat outside. Thank you for a very enjoyable holiday, the welcome at the apartment made us feel at home straight away. The apartment had everything that we needed and was so comfortable to stay in. This has been the best holiday experience we have had by far. The complex is perfectly situated not too far for shops, bars or bus stops. SOL I was very clean and comfortable with everything you need. We were there for winter long-stay and had a great time; we will go back in the future. 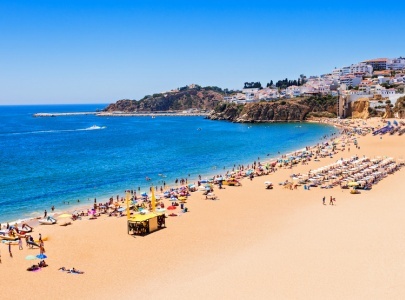 Solário de São José is very well situated in the centre of Albufeira, just a 2 minute walk to the main street, so there are many restaurants, shops and bars within easy reach as well as public transport, taxis and buses to theme parks.